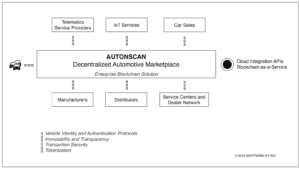 Introducing World's First Decentralized Automotive Marketplace - ShiftMobility Inc.
AUTONSCAN combines the best of blockchain technology and makes it easy for automotive organizations such as manufacturers, distributors, and service centers to connect to and fulfill demand originating directly from vehicles and consumers. The platform also facilitates seamless communication between vehicle networks and IoT devices. 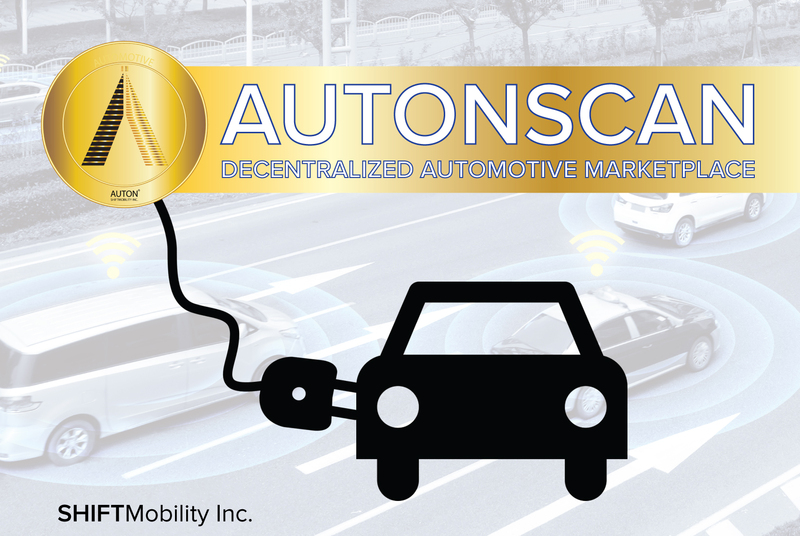 Built on the principles of Decentralized Autonomous Organization (DAO), AUTONSCAN delivers unparalleled cost savings to thousands of stakeholders registered on the SHIFTMobility network. • Blockchain Explorer for Blockcurr – enables users to quickly search, confirm, and validate transactions with participating organizations and consumers. It also supports transaction chains for payment processing on the Ethereum network. 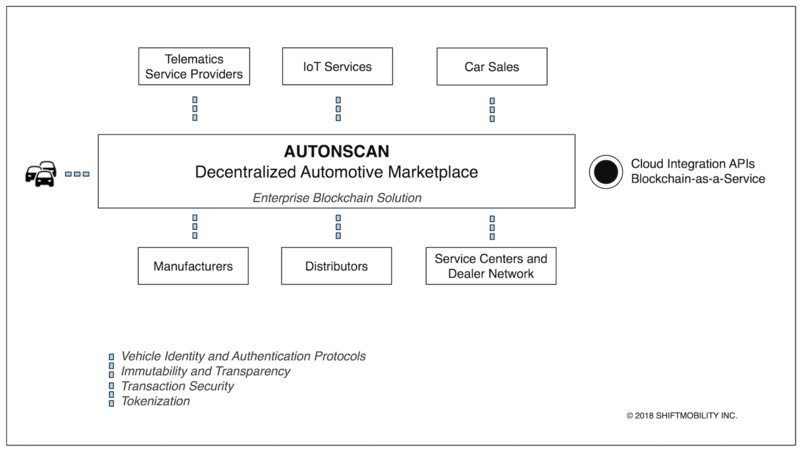 • Blockchain APIs – allows developers to build the tools and blockchain-based solutions that the automotive industry needs, including support for telematics. • Catalog solution – seamlessly convert manufacturer catalogs and distributor inventory to blockchains to streamline warehouse and inventory operations and leverage real-time-demand from consumers and their vehicles. • Smart contracts – integrated with POS solution to automatically generate service quotes. • Provides manufacturers and distributors with the ability to comply with KYC regulations and identify and track* vehicle components for faster recalls. • Blockchain-as-a-Service – automate enterprise application workflows leveraging Blockcurr and Ethereum protocols. • Supports decentralized autonomous capabilities for asset sales by businesses. • Permits insurance companies to quote customers and approve vehicle service requests on the network. SHIFTMobility’s goal is to support blockchain technology advances and help entrepreneurs launch new business models for the automotive industry. *AUTOSCAN integrates with on-premise systems and the cloud. To obtain more information on Blockchain developer APIs, or to discuss partnership opportunities, contact us at info@shiftmobility.com.